TPG’s Customer Segmentation approach strategically groups customers to provide Manufacturers with a powerful tool for making the right strategic choices to guide the allocation of resources across the organization. Define Criteria: Develop quantitative and qualitative analysis that evaluates customers across a number of key criteria in the areas of Strength/Importance and Strategic Fit. This results in a segmentation model that provides guidance for level of investment and resource allocation. Gather & Analyze Data: Gather the various quantitative and qualitative data and develop scoring matrices for each metric. Evaluate each customer against the specific metrics. 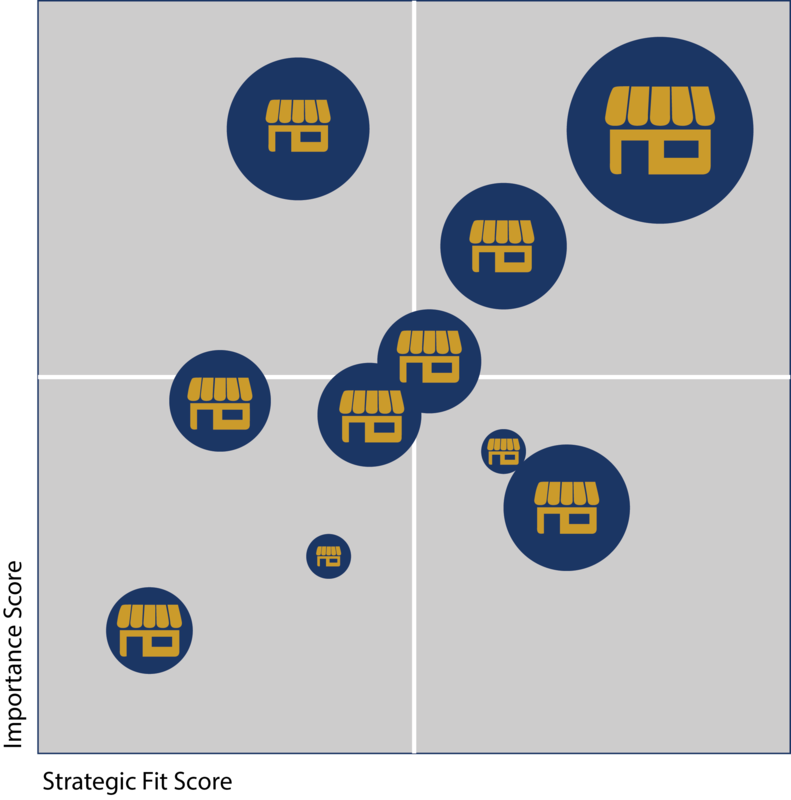 Develop Segmentation Grid: Based on Customers ‘scores’ plot them on a quadrant chart to determine their relative importance to the supplier. Typical quadrants are Tactical, Opportunistic, Innovative and Strategic. Each quadrant has a specific role and goals to help a supplier achieve its business objectives.